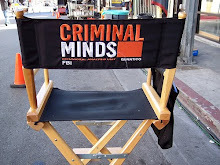 Criminal Minds: Matthew Gray Gubler, Dr. Spencer Reid on Criminal Minds, and '(500) Days of Summer' which will be released in theaters on August 20th. Official plot synopsis: Boy meets girl. Boy falls in love. Girl doesn’t. This post modern love story is never what we expect it to be — it’s thorny yet exhilarating, funny and sad, a twisted journey of highs and lows that doesn’t quite go where we think it will. When Tom, a hapless greeting card copywriter and hopeless romantic, is blindsided after his girlfriend Summer dumps him, he shifts back and forth through various periods of their 500 days “together” to try to figure out where things went wrong. His reflections ultimately lead him to finally rediscover his true passions in life. 500 DAYS OF SUMMER stars Zooey Deschanel (THE HAPPENING, FAILURE TO LAUNCH), Joseph Gordon-Levitt (STOP-LOSS, THE LOOKOUT,) and Matthew Gray Gubler (CRIMINAL MINDS) directed by Marc Webb, screenplay by Scott Neustadter and Michael Weber.